JSA is proud to support the below organizations that are fighting to make a difference. A JSA Family Goal: collectively, we try to give at least 40 hours of community service a year. Join us and help make our communities better. SafeMinds’ mission is to end the autism epidemic by advancing environmental research and effective treatments. In the U.S, approximately 176 children are diagnosed with autism every day, many of whom struggle with co-occurring medical conditions. SafeMinds believes the autism epidemic can be reversed by influencing health practitioners and policy-makers to accelerate environmental research and through reform in public health policies. Meanwhile, support and effective interventions exist, and more are being developed so that those with autism can lead safe, healthy, productive and fulfilling lives. For more information, please visit safeminds.org. 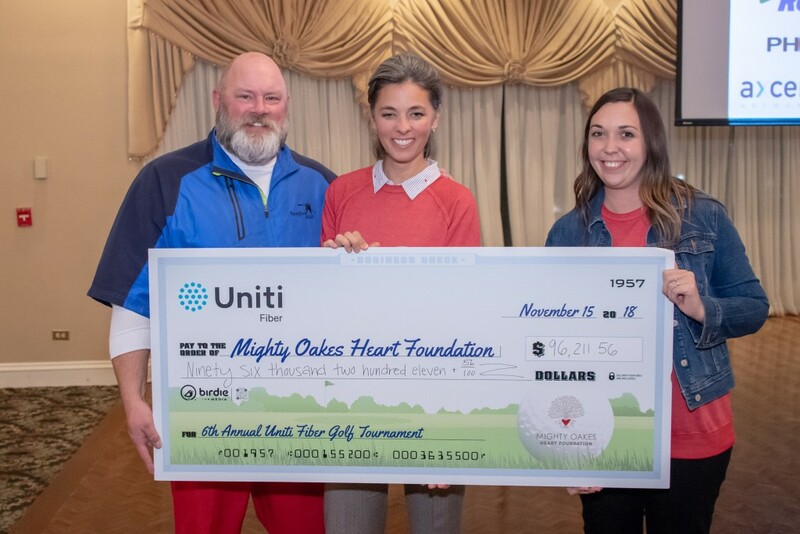 JSA is honored to support the Mighty Oakes Heart Foundation (MOHF), an organization founded in 2011 by PEG Bandwidth Co-Founder and SVP of Sales & Marketing, Greg Ortyl and his wife Becky. Its namesake, Oakes Ortyl, was the acorn from which the tree of MOHF has grown and flourished. It is his legacy that the foundation honors when it reaches out in individual, personalized, and powerful ways to assist needy families affected by the myriad challenges that congenital heart defects present. This charity golf tournament looks to help MOHF grow and assist more families in need across the country. To learn more about the Mighty Oakes Heart Foundation, visit www.mightyoakes.org. The Heart Gallery of Broward County hosts a gift wrapping station for the 12 days leading up to Christmas at the Galleria Mall in Fort Lauderdale, Florida. 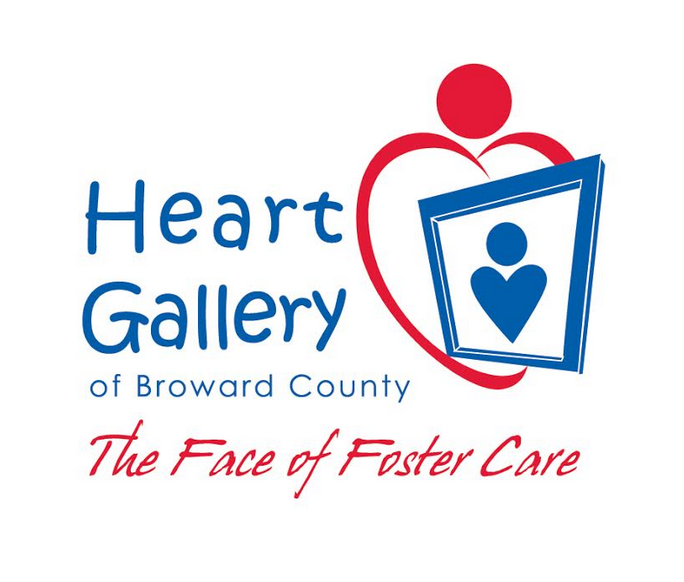 The Heart Gallery is a traveling photography exhibit of the many foster children of Broward County that are in need of a forever family. The gallery is displayed in public places as an exhibit, with a picture and bio that describes each child’s personality and interests with the goal of encouraging the community to adopt, volunteer or donate money or goods. JSA’s Terri Goggins became a part of this wonderful cause during the holiday season of 2015. The afternoon was a promising display of kindness and generosity during what sometimes seems to be a retail-driven holiday season. Terri has been volunteering on an annual basis since 2015. To learn more about The Heart Gallery of Broward County, please visit https://www.heartgalleryofbroward.org. Susan G. Komen for the Cure®, the global leader of the breast cancer movement, having invested more than $1.9 billion since inception in 1982. As the world’s largest grassroots network of breast cancer survivors and activists, we’re working together to save lives, empower people, ensure quality care for all and energize science to find the cures. During the season of giving each year, via our holiday card email campaign, JSA donates to the Susan G. Komen Foundation. JSA has been a proud supporter since 2006 and has been focused on driving awareness and fundraising for this organization. For more information on Susan G. Komen, please visit – ww5.komen.org. 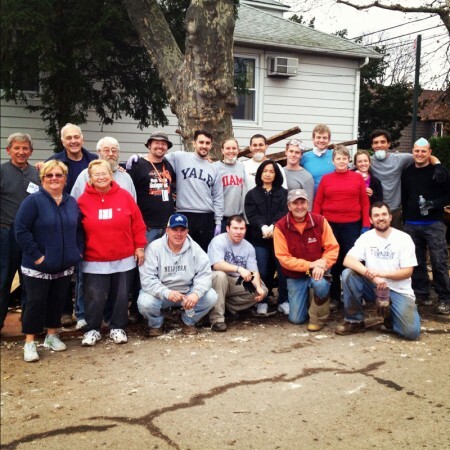 JSA gave back to the East Coast communities that were affected by Superstorm Sandy in 2011. One town dealing with the aftermath was New Dorp Beach, Staten Island. JSA’s Lauren Sauer offered her time and helped multiple families rip out their basements before mold could set in. The basements were completely flooded leaving only dirt and scattered sod. Most of the items in these homes were ruined, and needed to be put in the trash at the curb. The residents of New Dorp were nothing but positive and hopeful and most feeling relieved, as some have been so overwhelmed by the destruction with no idea where to begin. Volunteers from all over were offering families and other volunteers supplies and warm meals. It was truly a community coming together. JSAers Shannon Ashe-Law, Caitlin O’Hagan and Lauren Sauer, stepped away from their computers and desks, and took a trip out the Long Island Cares facility to volunteer their time to give back to those who have lost so much. In 2011, Long Island Cares, a Feeding America member, worked hard to provide meals, food and other much-needed items to those who were affected by Superstorm Sandy. The three JSAers worked in the warehouse, sorting the donated food from drop boxes within the local community. They also repackaged and labeled the assorted food in large cardboard boxes for distribution back into the community. It was not only amazing to see how many volunteers they had working, but how much food and other items had been donated. Everyone was extremely organized and helpful, and said they were amazed with how much the crew had accomplished in such a short amount of time. Overall, it was a great experience and the group had a lot of fun working together. For more information on Long Island Cares, please visit www.licares.org. If your company would like assistance on organizing a charity project this holiday season, let us know. In 2011, JSA asked our telecom community to donate to the Tunnel to Tower Foundation, an organization that is helping to raise money for those affected by Superstorm Sandy and other disasters in the New York area. All donations will benefit those that have been adversely impacted by the devastation along the New York City and New Jersey coastlines. For more information and to make a donation, please visit https://www.tunneltotowersfoundtation.org/hsrl-donate.aspx. JSA launched a new global charity partnership with Develop Africa, in a move that will strengthen support for underprivileged children and provide supplies for communities in Africa. This is an excellent opportunity or telecom companies to come together to help further the education of African children. JSA and Global Convergence Solutions (GCS) created, planned and participated in the first ever FunRUN benefiting the LIVESTRONG Organization at ITW 2012. The inaugural FunRUN took place on Monday, May 14th in Chicago, IL. The FunRUN focused on having FUN and giving back. 100% of all donations went directly to the LIVESTRONG organization. Footnote: ITW loved this idea so much, they made a charity run a regular part of their annual networking event each year moving forward. Each February, JSA participates in the MS Climb to the Top of the rock with 1,500 other participants, and together we climb 66 flights of stairs to help create a world free of multiple sclerosis. Multiple sclerosis interrupts the flow of information between the brain and body and stops people from moving. We believe that moving is not just something you can or can’t do, but that moving forward represents who we are. By participating in Climb to the Top, you are connected to the potential, the hope, and the momentum of it all. With the help of dedicated supporters like you, the National MS Society addresses the challenges of each person whose life is affected by MS and helps to move their lives forward. SEA Paddle NYC’s mission is to provide much-needed support for important causes in the world of autism and environmental activism! The Annual Paddle promises to be the largest most action-packed paddle in the United States. JSA team members have participated in the SEA Paddle for Autism, which is a non-competitive 26.5-mile paddle journey around New York City. The mission is to provide much-needed support for important causes in the world of autism and environmental activism! In January 2010, shortly after a massive earthquake struck near Haiti’s capital of Port-au-Prince, leaving over 100,000 dead and many more injured and homeless, JSA established The Telecom Haiti Relief Fund. The fund donated 100% of its proceedings directly to the American Red Cross, to deliver supplies, water and rescue and recovery efforts to the affected areas. Companies and organizations who donated to The Telecom Haiti Relief Fund include: Allied Fiber, Rory Cutaia and The Cutaia Group, DealCenter, Expereo, Global Telecom & Technology (GTT), Hibernia Networks, HughO’Kane Electric, IntelePeer, Jaymie Scotto & Associates, Lexent MetroConnect, New York Institute of Technology, Pangaea Networks, QuadriviumResearch Corporation, Source Capital Group, Inc., and Techistan. In 2017, Hurricanes Harvey, Irma and Maria struck havoc on the US, Puerto Rico and the Caribbean, leaving much devastation to the areas. JSA set up a new fund to help aid those who were affected by these natural disasters and are in need. Along with JSA as a company and individual team members, Rapp & Krock, PC, Michael McDonald, Diego Molina and some anonymous donors donated to the cause.